This item will be released October 1, 2019. 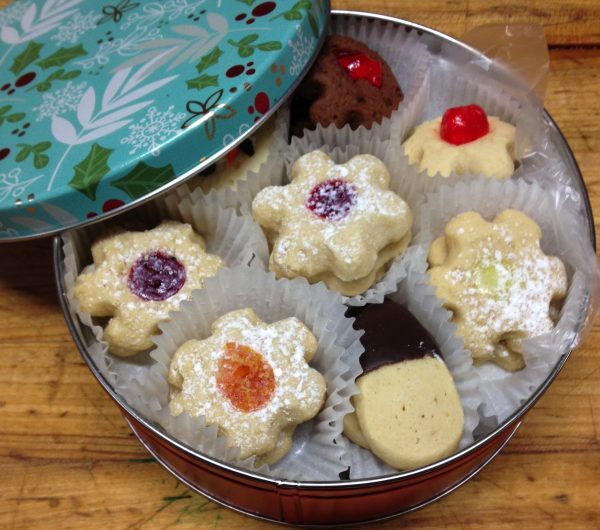 Enjoy our most popular butter cookies of the season. 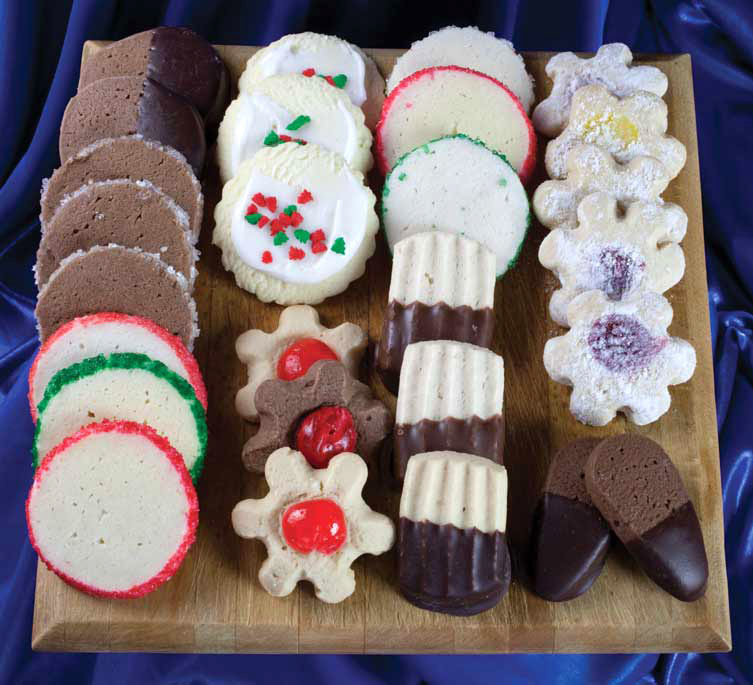 Our homemade, hand-dipped butter cookies make a perfect gift or great for your own enjoyment. Gift our most popular butter cookies of the season in a decorative tin. 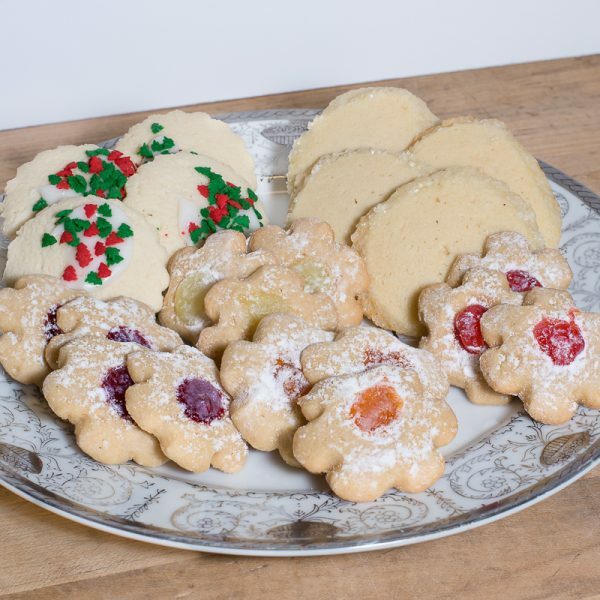 Our buttery spritz and shortbread cookies make a perfect gift or great for your own enjoyment. 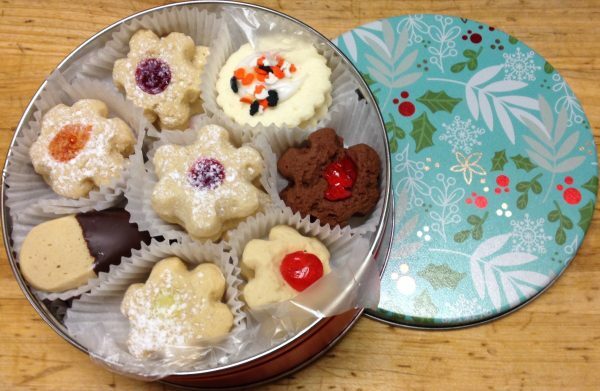 1lb butter cookie assortment carefully packed inside a decorative tin. *No substitutions during peak seasons. Thank you for understanding. 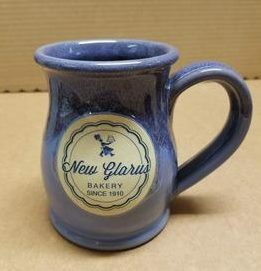 14 oz of your favorite beverage in this hand-crafted Tall Belly mug. 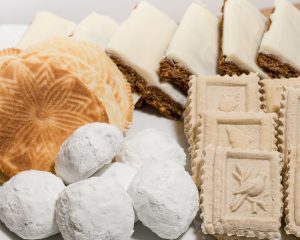 European Christmas cookie tradition means pepper-nut. 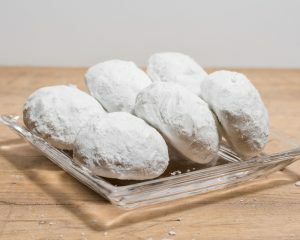 Pfeffernusse is delightfully spicy with a dusting of confectionery sugar.